Every day there is a new supplier in the market. Other days the reliable supplier decides to close its business. Finding a new one or changing from one to another is not an easy task. How to make a decision or set the standards for structural steel suppliers can be challenging for first-time customers. There are some basic questions the structural steel suppliers should be able to answer. Seems like an obvious question but it is the key to choosing between the structural steel suppliers. A company that worked with larger projects before is more likely to satisfy your needs. 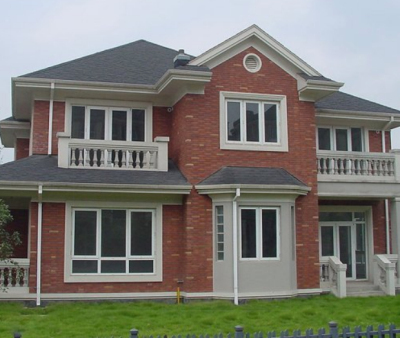 SBS is an experienced supplier with a broad experience on different project. It is possible to find SBS products all over the world. Different structural steel manufacturers means different cost structures and durability. Some are cheaper but don’t last as long as other. With the right maintenance, all the structures made by SBS can last more than 50 years. SBS became one of the prime structural steel companies thanks to the high quality and cost effectiveness of its products. The ISO 9000 certifications are not mandatory but will help you decide between the structural steel companies. This certificate means a company meets the standard needs from the costumers. SBS proudly received the ISO 9001:2008 certification. This particular ISO certificated is focused on the costumer’s satisfaction. Over the years, SBS has developed a strong relationship with their clients. Not all the structural steel suppliers can work around your needs. Some companies may not have the physical structure or equipment to work on your particular project. SBS has the production equipment and production lines necessary to take over large projects. A two floor structure? Not a problem. A steel structure hangar? SBS can make it. Make sure to ask the structural steel suppliers all these questions. If you choose SBS, the answer will always be positive. Not only they supply high-quality, resistant and cost effective structures. SBS will stay with you through the entire process. SBS works with a team of engineers, architects and other professionals to offer technological solutions to their clients. Different structural steel manufacturers make for different standards. Thanks to the ISO 9001:2008 certification, customers can be sure about SBS and their service. Don’t go for the cheap option or settle for whatever product the structural steel companies have to offer. SBS has a cost-effective product for every client, the company will adapt any design to each need. Working with the best guarantees a high-quality product. SBS’ work doesn’t stop once the client receives the structure. A trained engineer will be on site to guide the installation process. No matter how many options you consider, when it comes to structural steel suppliers, SBS is the only that will guarantee your satisfaction.